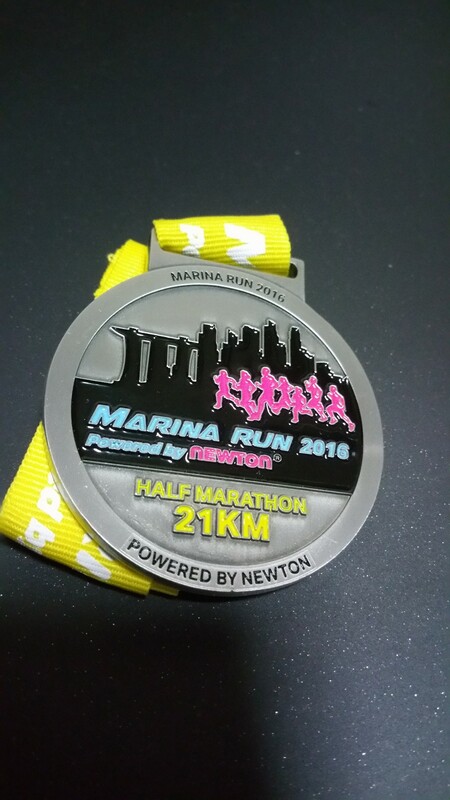 Race Review: Marina Run 2016 (by Kenjoe) | JustRunLah! If there’s one thing consistent about running races this year, it’s the queue, long queue. 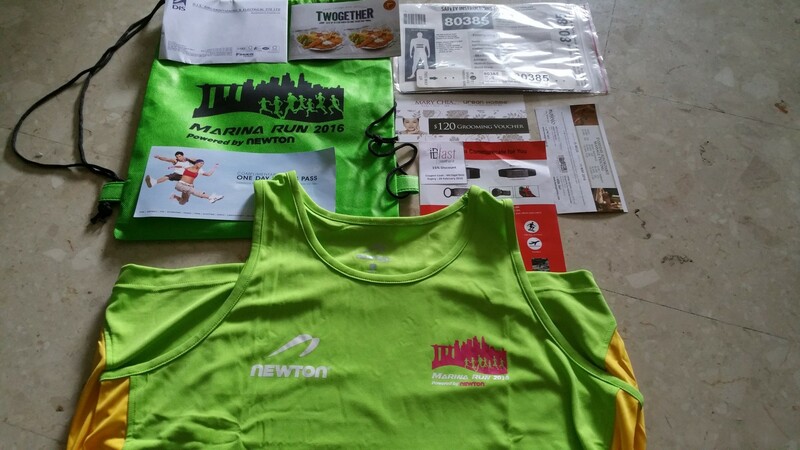 So when I went to collect the race pack for Marina Run, I tried to go earlier that first day of collection. 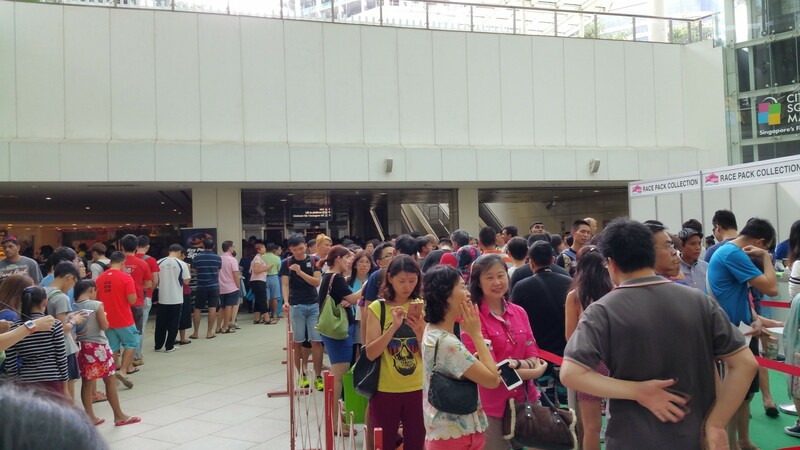 I still ended up queuing for more than 1 hour. 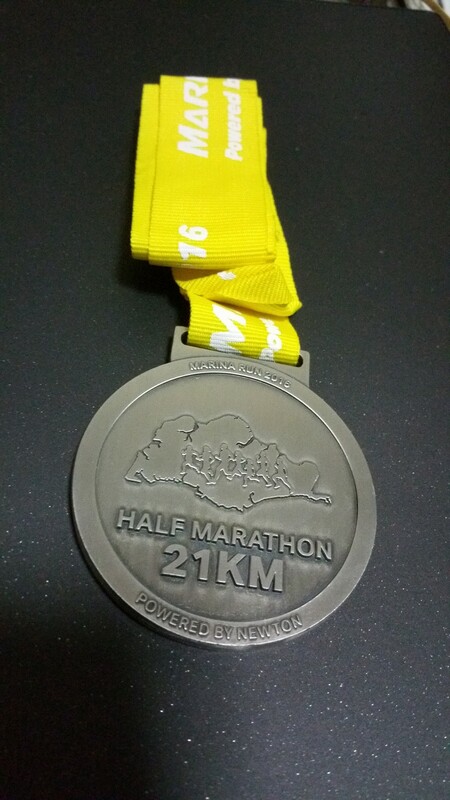 This was the third run for the year, but first half marathon of the year. I ran my very first half marathon last year too in Marina Run 2015. So I thought I would improve upon the timing this round. 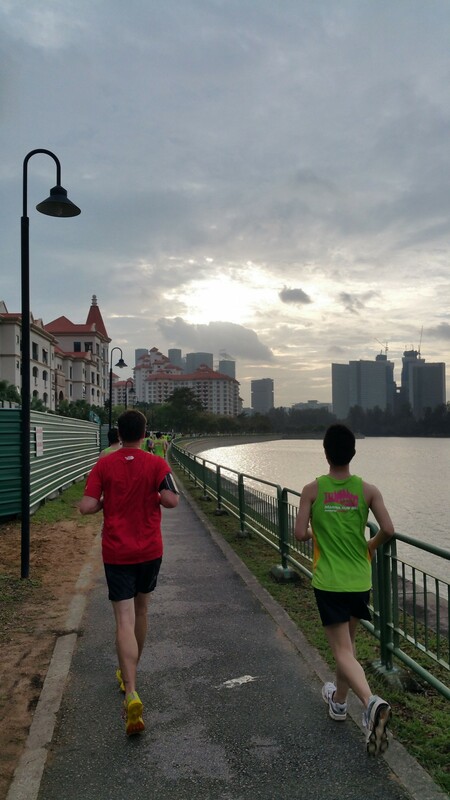 The difference this year was I was also arranging to run with my friend, Francis and his nephew. 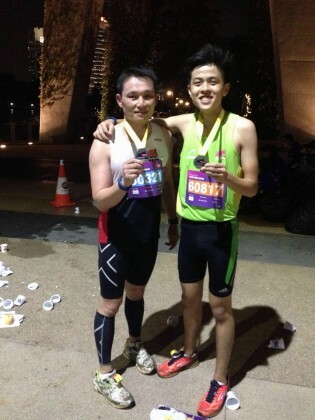 He was the one who encouraged to try my first 10 km race. This time I asked him to try his first half marathon. So I was anxious to make sure he also would get a good experience with his first half and shared whatever I do know although I was myself a green horn. I just told him everything that I had learnt about running half marathons in the past year, eg making sure to energize with gel at intervals, placing petroleum jelly to prevent friction, benefits of compression wear, training runs. 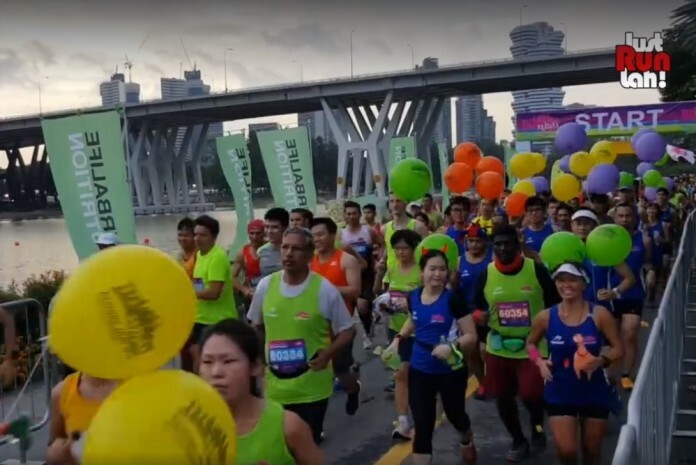 And knowing he was keen to run his fastest, I also strongly suggested that we start off in wave 1. I also introduced him to another friend who was more experienced in running that I met on FB (whom I also met up in person in the last race) who could give better advice too about pacing etc. The day came. 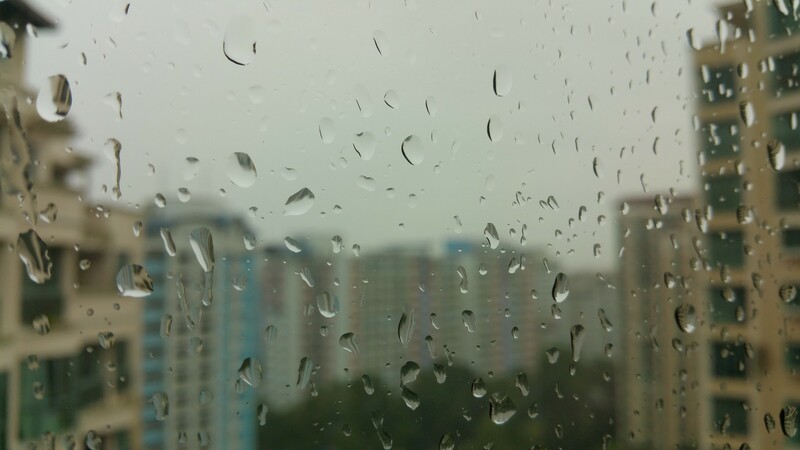 Earlier in the afternoon, I was staring out at the heavy downpour just outside my windows. 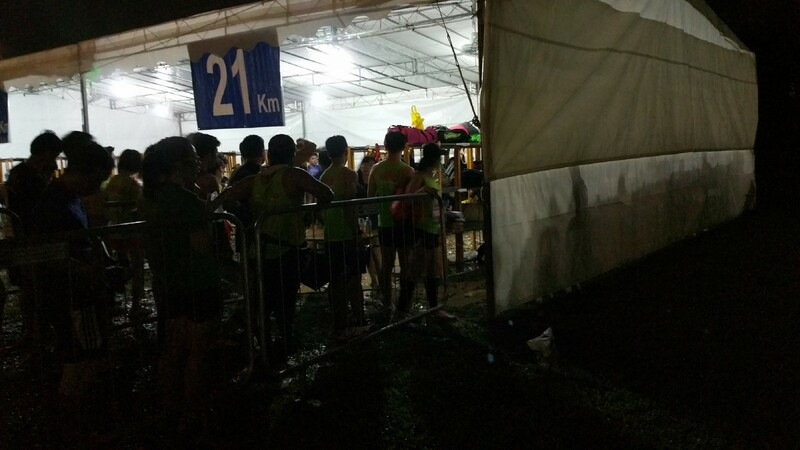 Still, like the very first race in this year, I prepared to leave early and hope the rain would stop in time. 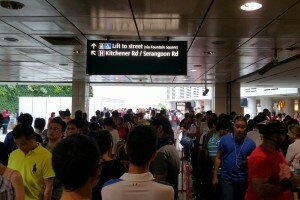 I took the public transport to Mountbatten MRT, hoping to catch the shuttle to the start point. The rain did stop. 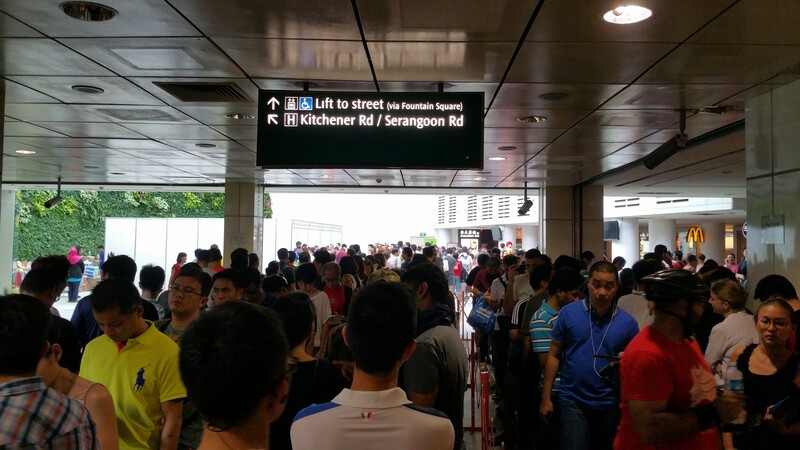 But, when I reached there, the queue for the shuttle was rather long. 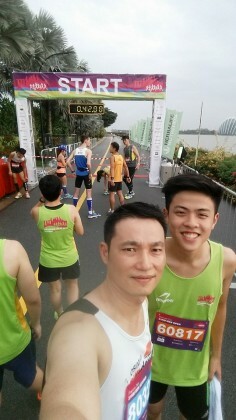 My friend and his nephew was already at the start line but there were not that many people there yet. I decided to take a walk to the venue, which was probably my first big mistake. I ended up walking a fairly long distance and climbing over an obstacle. 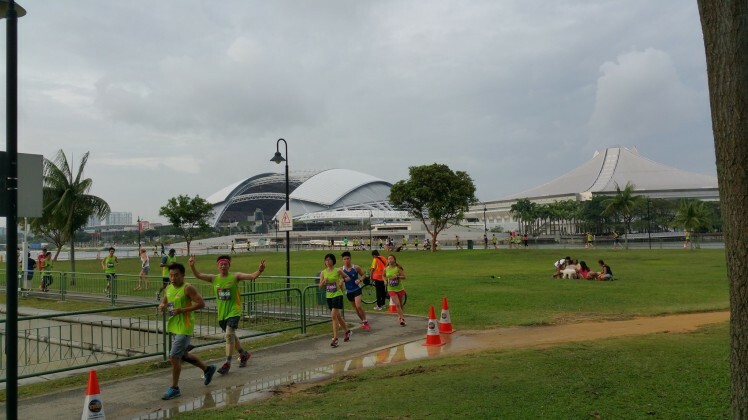 Anyway still on the way there, I took pictures of some runners who were completing either their 5 km or 10 km races. 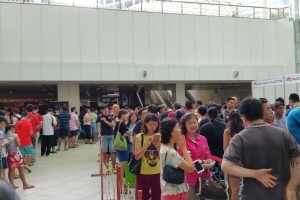 And then on reaching the venue, it was queuing again to deposit the bags. By the time I finished, the wave 1 had already started off. But luckily we had already agreed that regardless, whoever was there first, should start off if the other party was late, ie not to wait. I could only start with wave 2, and we waited almost 15 minutes before we were off. 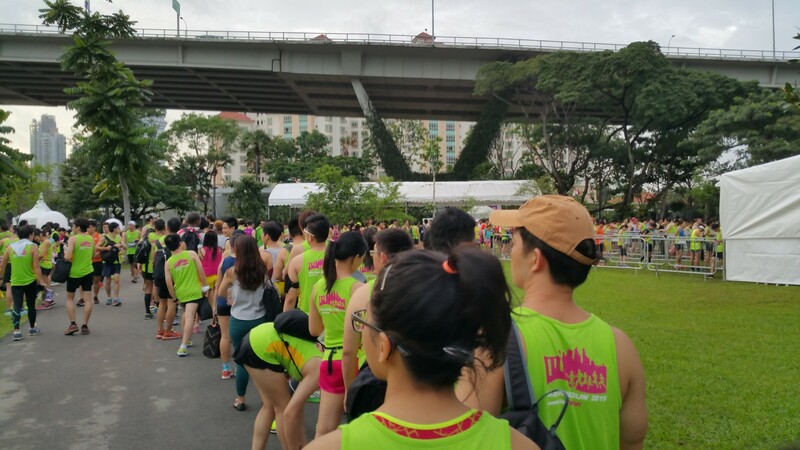 The run was breezy at certain stretches and there were more U-turns than other races I came across. Hydration points were adequate but I felt they were not at regular intervals so it became a bit of a guessing game if you happened to skip one, when the next one would be. Otherwise I found the running still good despite the narrow stretches at certain points and unlit, dark stretches which didn’t really bother me much though. Towards the tail-end of the race, we were also treated to the fireworks in the sky due to the Chingay performance that were going on. 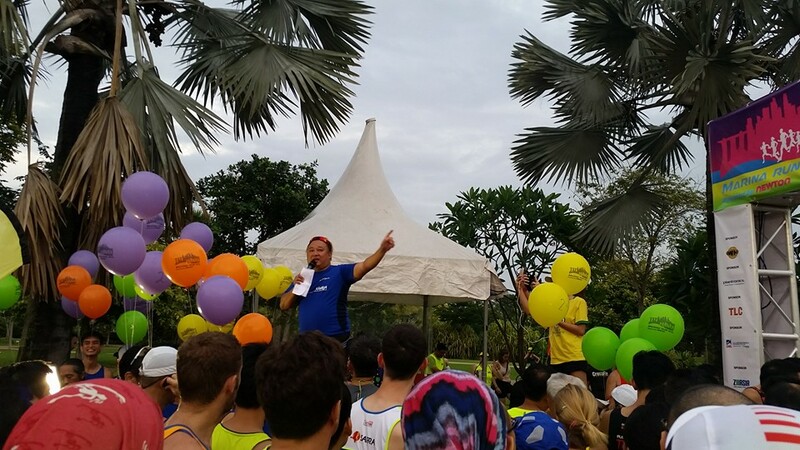 At the finish, we were handed an apple and a banana at the end of the race and also collected the medal and finisher T-shirt. I took a bite out of the apple, feeling rather thirsty and then almost spit out when I saw that half of the apple was black and rotten. Feeling rather disgusted I threw the apple away into the trash can and went straight to the bag deposit queue. 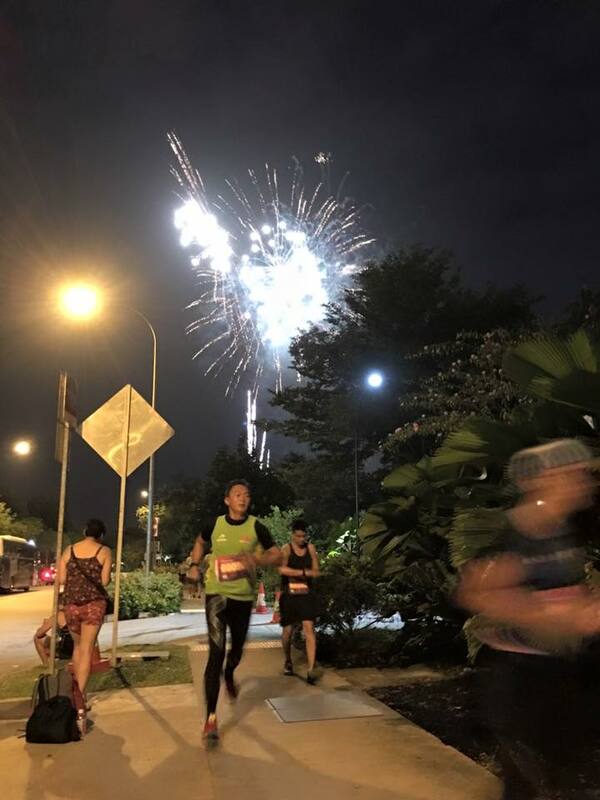 I found my friend and his nephew had done an excellent debut with their half marathons, beating their targeted timing, just slightly over 2 hours and so they had left for their dinner. 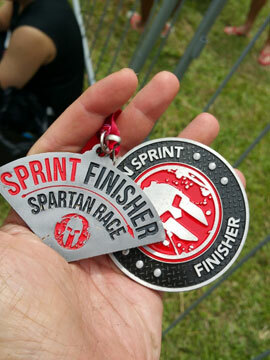 (I had been 18 seconds slower than my first race last year, way below my target ! but still, I was feeling rather good for my friend and his nephew’s achievement ). After collecting my bag, I walked straight into an iron rod stuck in the middle of the ground in the darkness. While I was hurting on my leg – a nasty 3 cm cut, a couple tried to remedy the situation by piercing their bib across the rod to act as a flag. I took out my plastic bag for the T-shirt and white translucent piece of paper and draped them over the rod to make it more visible. You might be able to discern the offending rod in the darkness on the right. At the same time, I just called out to the folks who were collecting their bags to be careful. I then made my way to the shuttle bus station after taking a short break to wash my wound. 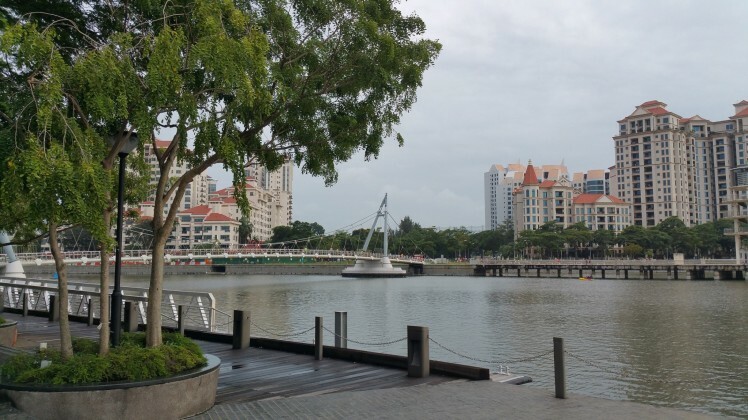 Long story short, I managed to take the last shuttle after the organizer negotiated with the bus driver (there were folks who had queued up but couldn’t take the shuttle), and managed to catch the last MRT back to Bishan and then last MRT from Bishan to my home. So still, a good end to the night. In summary, areas for improvement lie in the queue management because of the high volume – the shuttle bus at the end of the day left quite a few disappointed, kudos to the person who negotiated for a returning last bus because the queue was already waiting there for almost an hour though the time was past announced deadline, perhaps more regular distanced hydration points, better lighting especially for congested queues, a little quality control perhaps on the fruits handed out or I was just unlucky to get a rotten apple. Though the route had many loops, generally it was not confusing as volunteers were able to point out the U-turns clearly. The medal is one of the better designed ones. 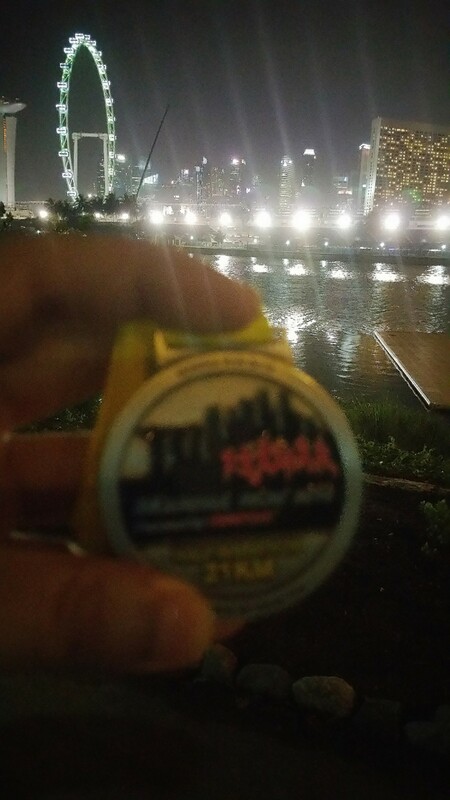 Still enjoyed the breezy route in the night so overall a good run still. What’s next… another trail run in two weeks’ time.